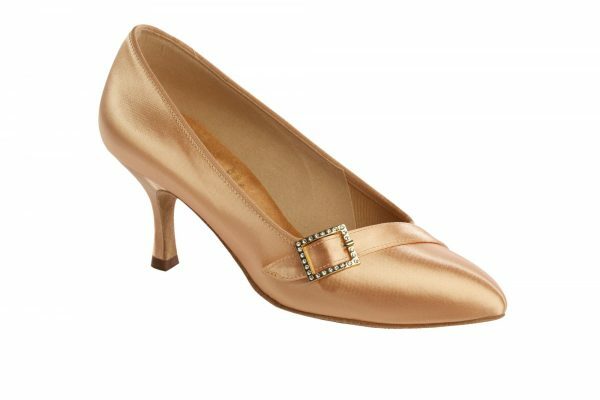 Heel size Choose an option2"2.5"
The 1023 Ladies Ballroom Shoe is a Pointed Toe Ballroom shoe and one of the most stunning in Supadance’s Ballroom Collection. 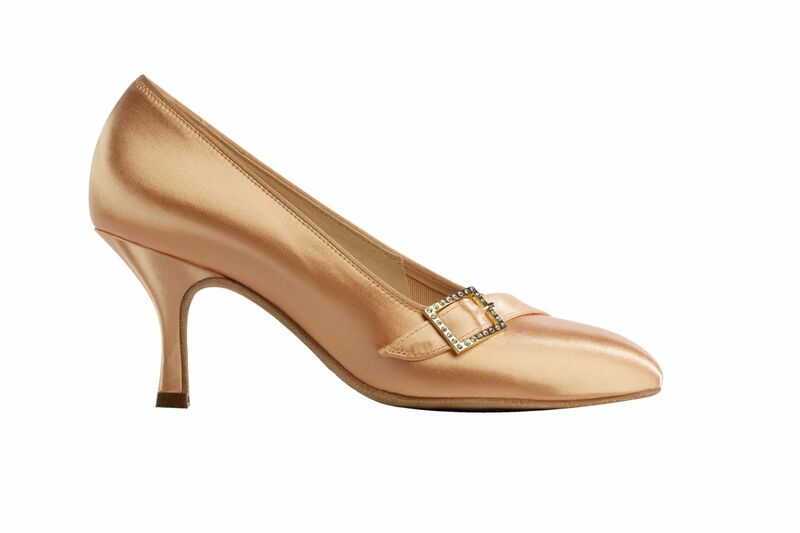 An elegant, court shoe in a Flesh Satin finish with a 2″ or 2.5″ contour heel. This stunning shoe is suitable as a competition shoe as well as a great social dance shoe. 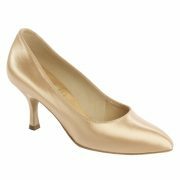 The 1023 Ladies Ballroom Shoe is a Flesh Satin pointed toe court shoe. It features a decorative strap and rectangular diamante buckle at the front of the shoe. The 1023 is available in UK Sizes 2 – 8 including half sizes and with a choice of a 2″ or 2.5″ contour heel and comes in a Regular Fit. Cushioned lining for utmost comfort and enhanced support. Supadance Contour Heel Protectors with suede or plain tips. Freed of London clear plastic foot straps.